One thing to remember when selecting feng shui colors for your home is color cannot activate a feng shui element. However, it is a nice design choice that's compatible with feng shui rooms. Choose feng shui colors that enhance compass elements, such as feng shui southeast colors or feng shui west colors. You can also select colors that are appropriate for specific room functions. 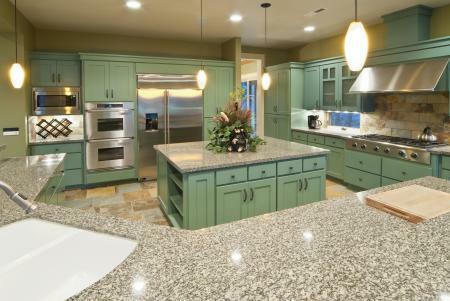 Choosing a color is an important part of any interior design project. Color either enhances an overall room design or totally destroys it. If you opt for a feng shui pallet, it means you'll be using the colors associated with each direction. You need to determine the facing direction of your home before you can correctly identify the direction of each room. A professional feng shui analysis is always best, but if you know the facing direction, you can determine each room's direction. To determine the facing direction, feng shui practitioners use a Luo Pan compass. If you don't have this kind of compass a Girl or Boy Scout compass works just as well. Once you have a compass and know how to read it, you'll take three readings of your home to be sure you correctly identify what direction the house faces. Three are done to verify accuracy within a few degrees of each other - no more than 15 degrees difference. If they are within range, you'll use the front door reading. If they aren't, you may have misread and need to take the readings over. 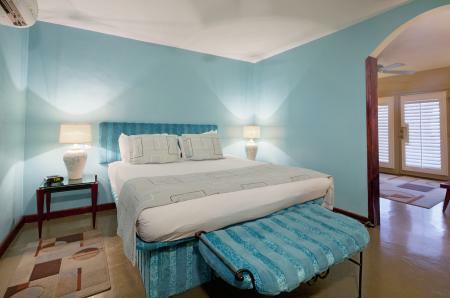 There is nothing in feng shui principles that dictates you must paint your room walls certain colors. The Chinese use color in its relationship to direction as reminders of the powerful forces according to feng shui philosophy. For example, a warrior often used red paint on his battle shield to ward off his enemies and remind himself of the mighty southern chi energy. Fire and passion were elements he required in order to defeat his enemies. You can use feng shui colors in your rooms as reminders of the feng shui elements just as the ancient warrior did. The main thing you need to be aware of is how the color makes you feel and how it works with your existing décor and color scheme. If the color enhances and enlivens your room, then it's a good choice. Green is the color associated with the East direction. That's not to say that if you paint an east room green, it will activate the wood element. To activate an element, you must introduce the element into the room. For an east room, use wood furniture as much as possible and add several house plants. All of these hues and anything in between reflects the energies of this direction. Any hue of the following colors will give you a cozy warm ambiance of the fire element. South is the fire element. Activate this element with candles and plants to fuel the fire. A fireplace located on the south wall also activates the fire element. Steer clear of metal since it draws water which will douse the fire. Use one or a combination of two or three colors. Other colors can certainly be used in combination with any of these. Metal is the element of the west. Metal candle sticks, metal picture frames and metal tables and chairs work to activate this element. Black is not typically a color advised for an entire room color. 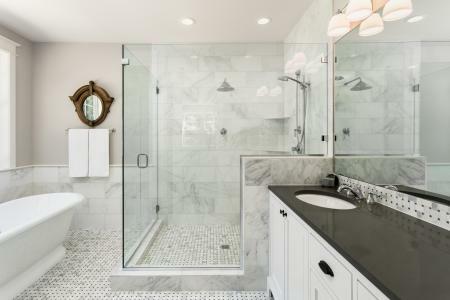 White walls with a black and white tile floor is a great way to introduce these colors into a room design. Use the two colors in combination with black as an accent color. A wall mural prominent in both colors is a creative way to use the color. Water is the element for the north. Use photos or paintings of water scenes (unless this is a bedroom). An aquarium in a den located in the north is a good choice or a small table fountain. Be sure to invest in a flying stars report to make sure activating this or any room element is advisable. Add various metal objects since it draws water. There are quite a few colors to consider for this direction. This area in all likelihood has several rooms that fall into this area. The earth element is activated with pottery. Clay and bronze statues also bring the earth energy inside your room. Since fire creates earth (ash) you can add candles to further activate the earth element. Minimize the use of wood furniture and for upholstered chairs and sofas. Compass directions with their assigned colors are the best way to go when selecting a color. 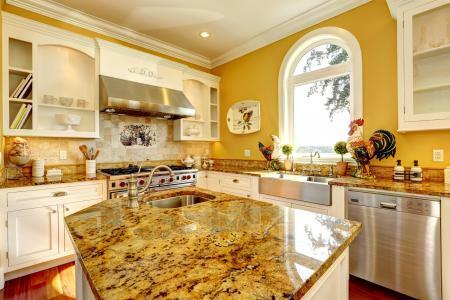 There are exceptions, such as colors you should never use in rooms with specific purpose, such as a kitchen where the fire element is generated. Some colors are natural choices since they have an emotional or psychological effect, such as a restive green or tranquil blue. When in doubt about the best color to use, consider compass direction and room function. The feng shui bedroom should attract yin energy since it is a retreat and dedicated to rest. The best yin colors are blue and green. Yellow will revitalize while red will probably generate too much yang energy that excites and stimulates. Try to create a nice balance if you introduce the more energized properties of yang colors into your bedroom decor. You will want the yin energy colors to remain dominate for the most restive effect. Green: All greens and browns represent the wood element that fuels the fire element. Brown: This wood element color has a wide range of choices from beige to chocolate brown. Yellow: You can use yellow as a lighter hue for the fire element. Orange: This is another fire element representative color. Red: The most vibrant fire color is often the choice for kitchens. White: Some feng shui practitioners consider this a neutral feng shui color. Keep in mind that white represents the metal element. Pink to peach: These are warm inviting colors and promote a happy decor. Yellow: This color inspires and creates an auspicious feeling. Light Blue: This aspiring color gives a refreshing feel to the dining room. Cream: This natural neutral color generates calming and auspicious energy. There are several colors best suited for a feng shui bathroom that can enhance or prevent specific things such as losses. The bathroom is inauspicious since waste water is negative chi and this represents the loss of wealth. You can counter this effect with some yang colors, but yin colors work best. When using dark colors (yang) be sure to add lighter colors (yin) to maintain a good feng shui balance of yin and yang colors. White to browns: Suppress inauspicious waste water with this wide color range from white, cream to all browns. Light blue: This color helps to tamp down waste water energy. Gray: This color also tamps down negative waste water energy. Red: Use this range of color from pink to red for financial/wealth loss prevention. Black: This color also helps prevent financial/wealth loss. The color(s) you select for your living room will set the mood for the activities in this room. Yang colors will energize the decor while more restive yin colors will be conducive to relaxing and rest. You may want a balance of yin and yang living room colors to create a more harmonious environment. Greens and browns: These colors offer a restive and tranquil living room dedicated to relaxation. 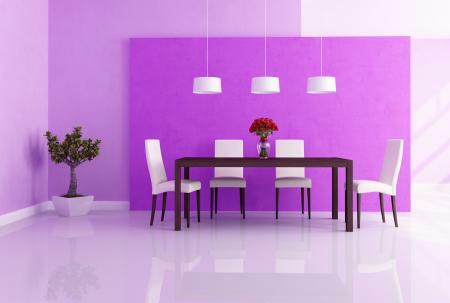 Red and purple: The range of color also gives a wide choice of yang colors for higher energy decor. 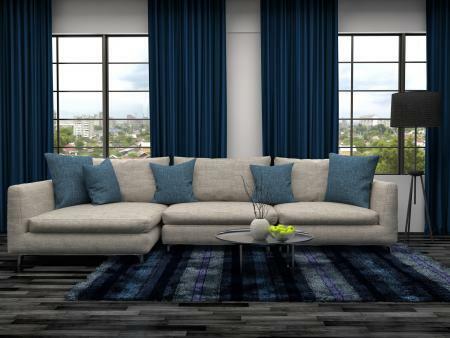 Blues: This color range is restive and will enhance a tranquil decor. Yellows: This crisp vibrant color is has bright energy. 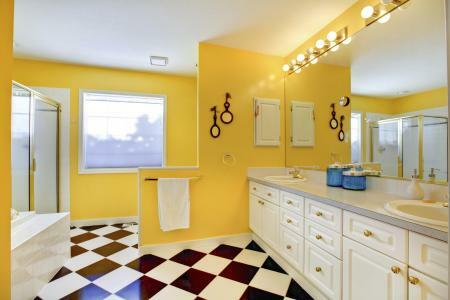 A pale yellow will evoke a calmer energy. 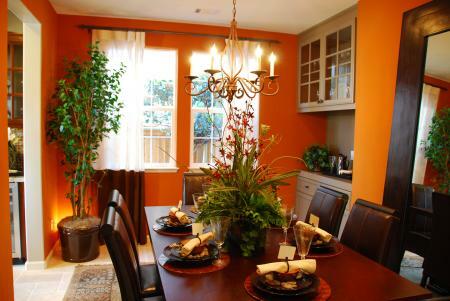 Orange: This fire color also has a range that can be high energy or a more restrained yang energy. Another room in the home that can create financial/wealth losses in the laundry room where more waste water is generated. For the most part, you want to keep the colors used in this room light or pale. If you are suffering financial losses, you can try a yang color cure. 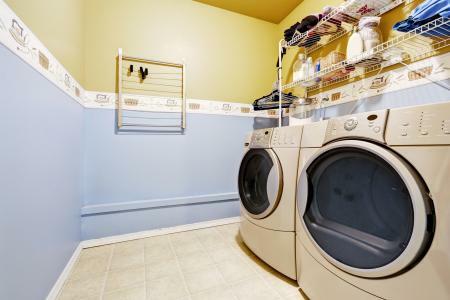 White: This metal color attracts water and is often used in laundry rooms. Pale blue: Blue represents water, but this color value is a weakened color of the element. Green: This wood element represents the productive element cycle of water feeding wood. Light browns: Another wood color is ideal for this room. You can always use dark brown to counter financial/wealth losses. Various hues of blue offer a wider range of color choices from aquas to light purples. Just keep the color light. 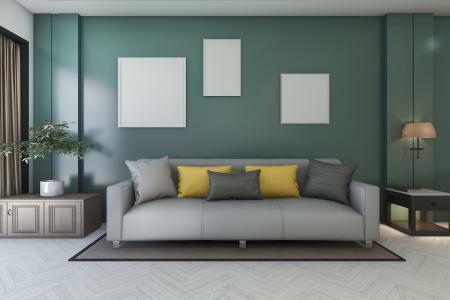 While color doesn't specifically activate elements, using certain room color combinations creates an overall feng shui ambiance for your home. You can even use it to help select a color for your workout room! Always consider the compass direction of each room when choosing the best color scheme.